Long while ago I made the prediction that gold had hit a high (in my opinion) . I was proven wrong in that prediction and gold went on to exceed that level. Now today gold hit a price over $1300 an ounce which is the first time ever it has hit that level. It closed a little lower than that but during trading it did exceed $1,300. I still think that gold is not a good long term investment. 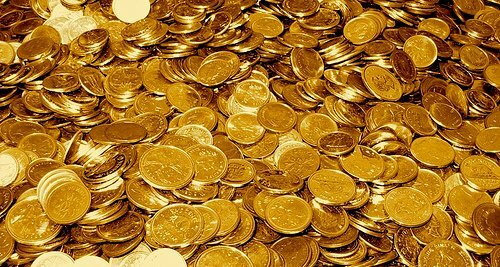 You can undoubtedly make some money by speculating on gold in the short term if you're lucky and it booms a little longer. Of course you have to time the market right and that is not easy to do. But I still think that inevitably the price of gold will crash sooner or later. The price of gold could easily come down 30-40% within the period of a year or less. That means if you buy today around $1,300 then it crashes 40% it could be under $800 within 12 months. When will gold peak and what price will it hit at the peak? I'm not going to go out on a ledge and predict gold prices for the future. I tried that already and I was wrong.